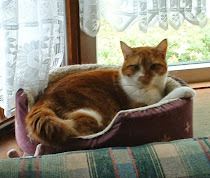 is being presented by Clover and Violet on their blog. 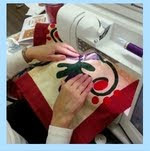 Embroidery 101: Stitch & Quilt Along! 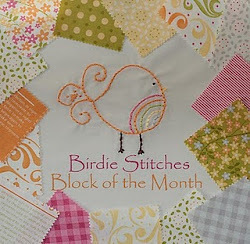 They are going to make a fresh, fun, bright quilt that incorporates embroidery. How is that? 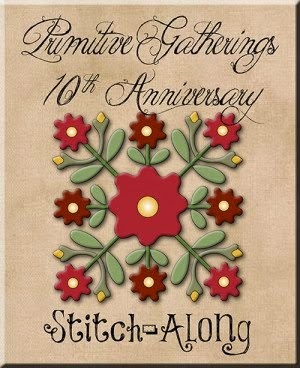 Plus they're going to give different stitch tutorials to help us improve our stitches. 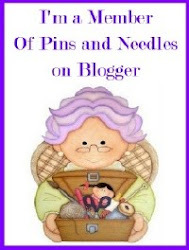 I do need that-I've done so much with the back stitch lately, that I've forgotten how to do some of the other stitches I used to use, lol. So head on over and check out what they're offering and get your stuff together - this should be a great project. 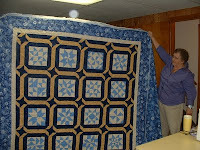 Quilt Club was Wednesday at Joan's house, so I have lots of pics to share with you. 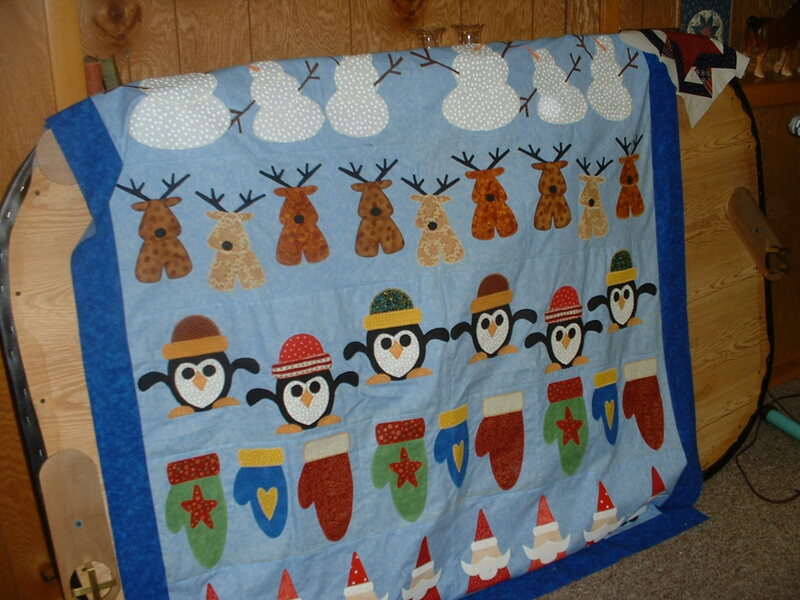 This is Bonnie's Christmas Row-by-Row from Sindy at Fat Cat Patterns. She's almost done with it. 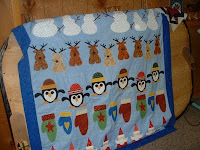 Here is a kids quilt that Ann made and quilted. 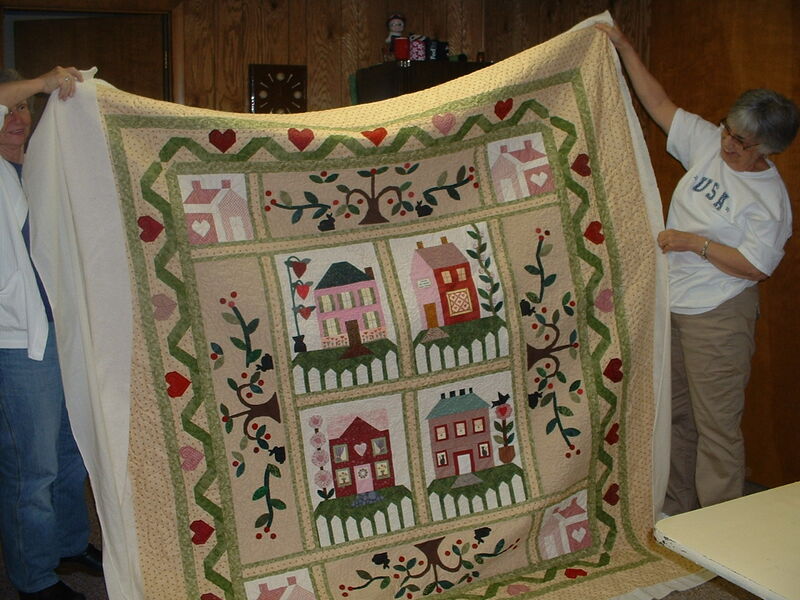 And here is Gail's House Quilt. Several of the girls made these over the last 2 years and I've shown their pictures in previous blogs. They are all so beautiful. 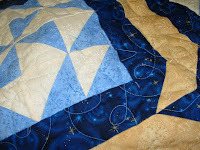 I don't think I will ever make a quilt that ivolved, lol. 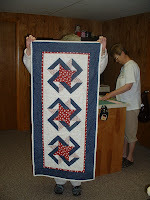 Joan made a tablerunner for the Patriotic holidays - nice isn't it? That's Diane in the background. 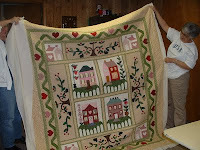 Here is Sharon D. with her last year's BOM from The Village Sampler. And a closeup of the quilting. She still has one more of these quilts to finish, while I have BOTH of mine to get done yet! 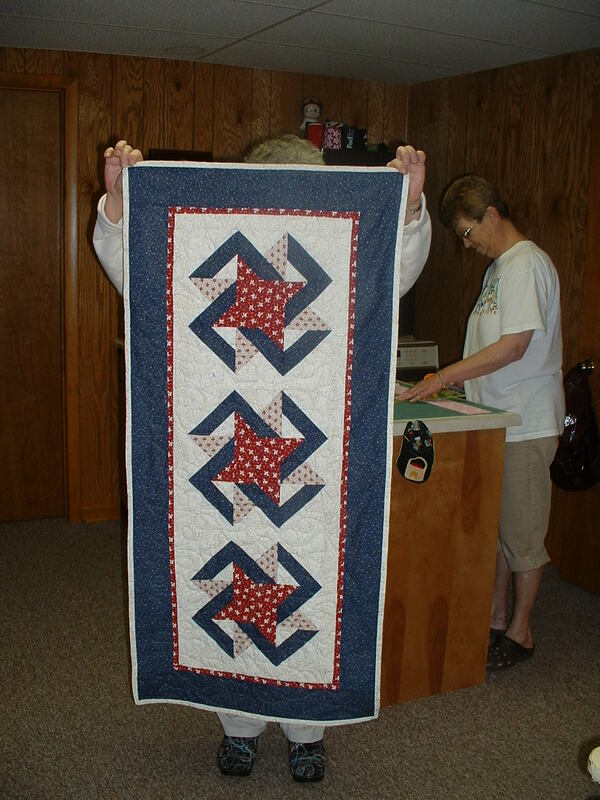 This is a quilt given to Ann to quilt on her long-arm. It is made of all men's ties. Can you image the time it took to make this? But it is really going to be spectacular when it's all done. Over at the Quilt and Needle group I belong to, we had a Late Spring Mug Rug Swap. Debbieanne had my name. 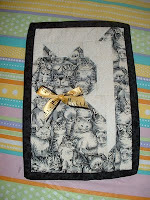 She is a fellow kitty-lover, and look at the cute mug rug she made me! I love it! 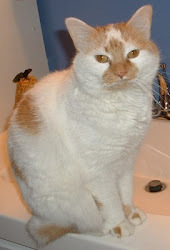 And Patsy Cline and Katie have spent the last couple of days sniffing it like crazy--getting the scent of Debbieanne's kitty, lol. I had Nancy, and here is the mug rug I made her. Good thing she took a picture, because I forgot to. I have so much fun doing these. 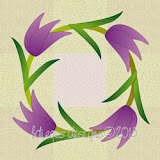 I think we're going to have a Summer Mug Rug Swap, too, so I have to get thinking about what to do. 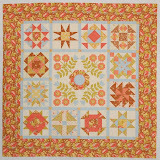 Happy quilting from Sharon and "the girls"
Thanks for the quilt show from your group of friends. I really love row quilts but have never finished one yet. 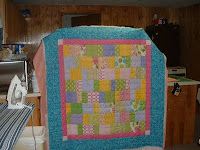 Maybe I should find the 1 I started several years ago and see what needs to be done to complete the rows. Wow, that all looks great. 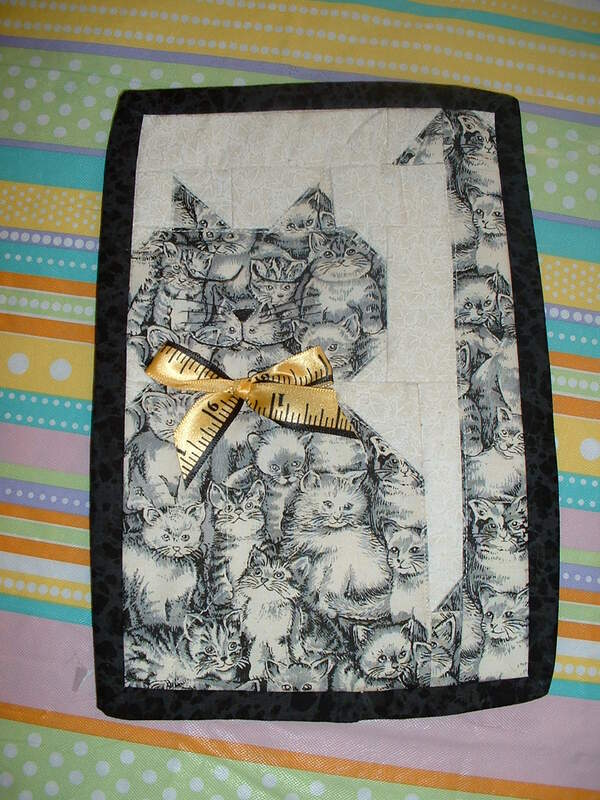 You have a fabulous quilt club. Ours can't seem to get off the ground some days! 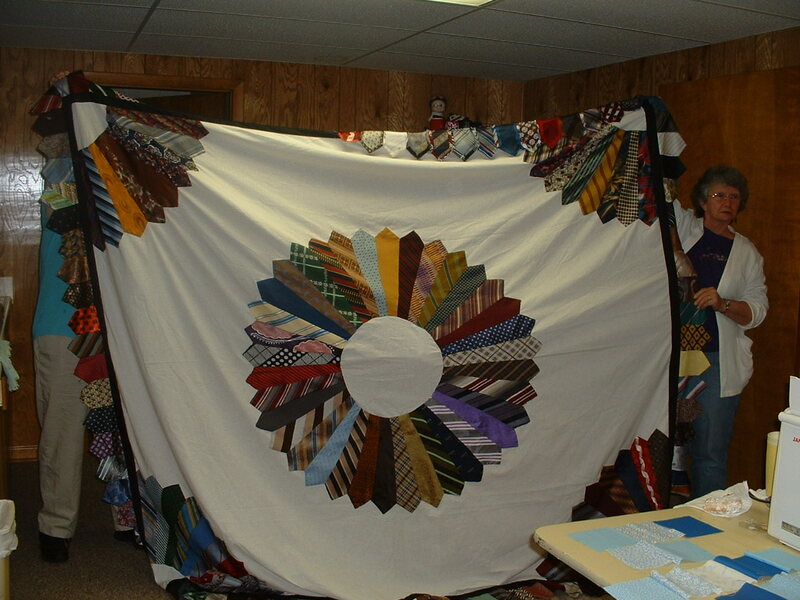 those are some great Quilts. Hi Sharon, did you win the Mug Rug Contest? 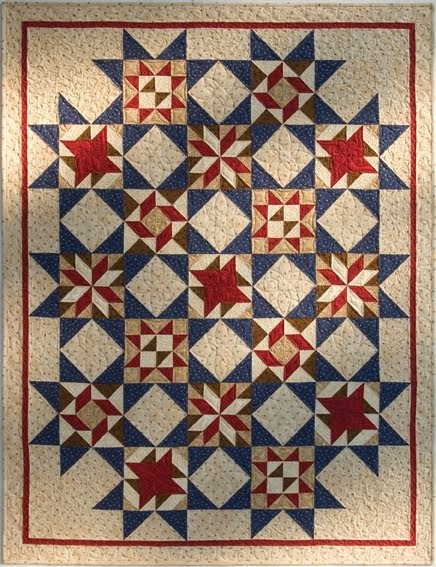 Thanks for the quilt show. Lovely pictures. 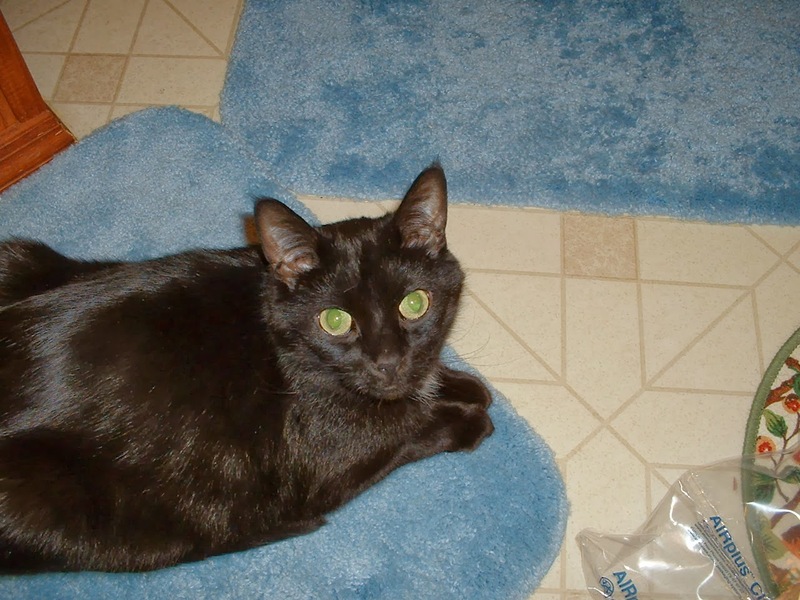 I want to be a member of your quilt group! 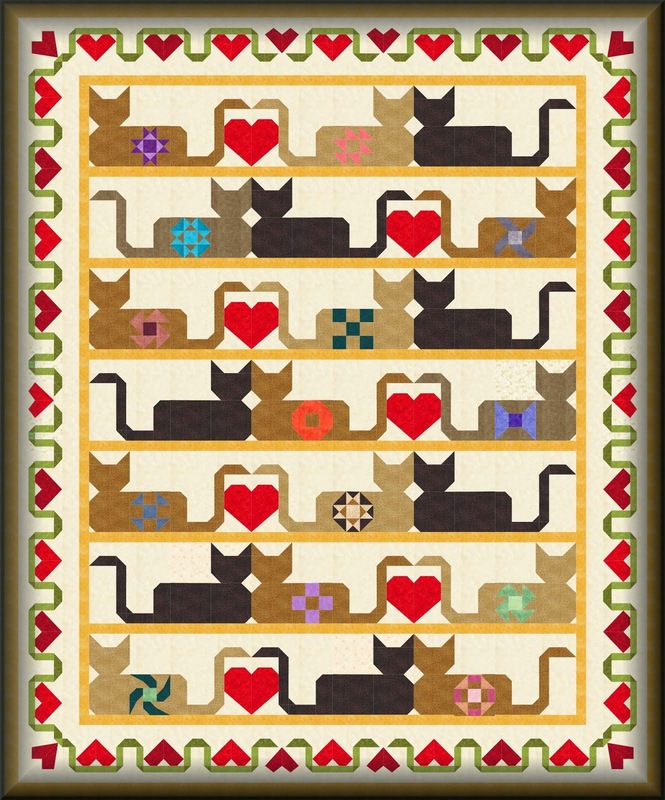 And, I need to make a couple of mug rugs. Darn it, there are so many things I want to make and here I sit with the computer! But that is fun too. Thanks for all your comments ladies. 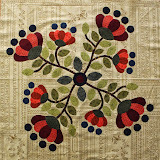 I do get to quilt with a wonderful group of women-in all 3 of my groups. 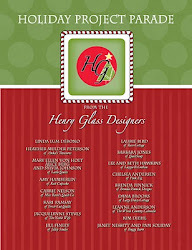 They all have different talents and are so willing to share them and help out. It's inspiring to be with them.